It is easy for founders to ask where money is coming from, and much harder for them to take action. It is difficult to figure out where venture capital firms are getting money, because the firms rarely disclose that information. Venture capital investors raise money from pension funds, college endowments, sovereign wealth funds, wealthy individuals and family fortunes.Since the funds are privately held, they are under little obligation to disclose. When John Vrionis and Jyoti Bansal set out to raise money this year for their first venture capital fund, Unusual Ventures, industry peers advised them to go after the easy money — sovereign wealth funds like those managed by Saudi Arabia and Abu Dhabi, which have become major investors in Silicon Valley. “People would say, ‘It’s really easy — they’ll give you as much money as you want,’” Mr. Vrionis said. But the pair said they didn’t feel comfortable making investments on behalf of repressive governments. Instead, they sought investments from nonprofit groups, historically black universities and children’s hospitals. That move has helped them avoid difficult conversations in recent weeks, as gruesome details emerged about the murder in Istanbul of Jamal Khashoggi, a journalist who had been critical of the Saudi Arabian government. The chief prosecutor of Istanbul said Mr. Khashoggi had been strangled almost as soon as he stepped into the Saudi Consulate in the city. Some of the agents who have been detained in connection with the killing have been linked to Crown Prince Mohammed bin Salman. “This has started the conversation of ‘Where is the money coming from?’” Mr. Bansal said. Other Silicon Valley investors are in a more uncomfortable position. Some start-up founders are asking their investors whether they have financial connections to a foreign government with a poor human rights record. Others say that from now on, they will demand to know the source of investment money. But it is easy for founders to ask where the money is coming from, and much harder for them to take action. Often, it is difficult to figure out where venture capital firms are getting their money, because the firms rarely disclose that information. And even if start-up executives discover that some of their money is from an unwelcome source, it is tricky to give back money already accepted — and possibly spent. The efforts and calls for action are nascent. Luis von Ahn, chief executive of a language-learning app, Duolingo, said he had recently taken a closer look at the more than $100 million his company had raised from investors, including Union Square Venture and Kleiner Perkins. He does not believe any of it came from Saudi Arabia, he said, but he added that he could not be sure, given the complex, opaque network of investment vehicles that back venture capital funds. Mr. von Ahn said the information was more useful for evaluating potential future investments than reassessing past ones, and that he planned to raise the question with potential investors if Duolingo sought more investment. “There are all kinds of places I personally wouldn’t want to have money from,” he said. Fred Wilson, a partner at Union Square Ventures, a prominent firm in New York, wrote on his blog last week that a chief executive of a company in its portfolio had, for the first time, asked about the firm’s financial ties. He said he expected more emails like that in the coming weeks. Mr. Wilson wrote that he didn’t have completely “clean hands,” because his firm had once sold shares in a portfolio company to a “buyer who was fronting for gulf interests.” But he said Union Square Ventures’ funds had not raised money from repressive governments, and he called for venture capital firms and start-ups to find out whether they could be proud of their investors. “Sadly, the answer for many will be no and it will not be easy to unwind those relationships,” Mr. Wilson wrote. 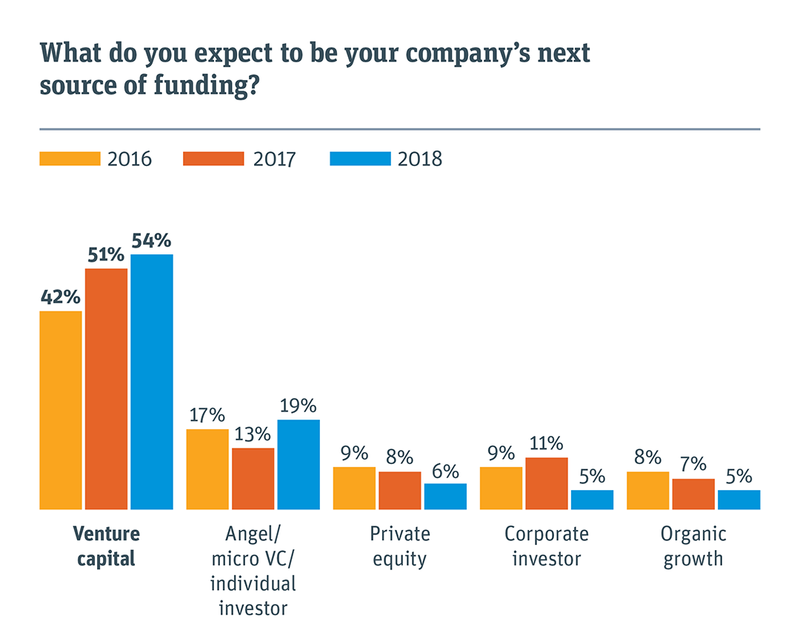 Venture capital investors raise money from a variety of sources, including pension funds, college endowments, sovereign wealth funds, wealthy individuals and family fortunes. They then use the money to invest in start-ups with the potential for fast growth. Since the venture capital funds are privately held, they are under little obligation to disclose information about their activities. Some executives at the firms say they keep the information private for competitive reasons. Others do so at the request of the people and organizations, known as limited partners, that invest. Some top-tier firms, including Andreessen Horowitz and Kleiner Perkins, are so secretive that they do not accept investments from public pension funds, which publish the results of their investments. These disclosures allow the public to know how much — or little — money the firms earned for their investors. The kingdom has also invested in top venture firms. It sometimes strikes these deals through other entities, like the endowment fund of King Abdullah University of Science and Technology, a Saudi research university that bears the name of the former ruler who created it. Only the largest and most powerful start-up investor, SoftBank, which raised $45 billion from Saudi Arabia for its Vision Fund, has made its association public. After the news of Mr. Khashoggi’s death, David Gutelius, a partner at the Data Guild, a boutique venture “studio” that incubates and invests in start-ups, began asking prospective investors about the sources of their money. Finding them out was more difficult than he expected, Mr. Gutelius said, because many investments into the venture funds came from shell companies and other entities. But he said he had found pervasive ties to governments with poor human rights records, including Russia, China and Saudi Arabia. As a result of his discoveries, Mr. Gutelius said, he ended fund-raising conversations with three groups, including venture capital funds, and plans to cut off two more. He declined to name the groups. Last month, he announced that his firm would not take money from repressive regimes or have partnerships with any firms or companies that counted them as customers, investors or board members. Roy Bahat, an investor at Bloomberg Beta, the venture capital arm of Bloomberg, said the questions were part of a growing realization in Silicon Valley about the global nature of investment money. He said some founders started asking him about venture fund limited partners about a year ago, when sovereign wealth funds became more aggressive in the technology industry. Bloomberg Beta has one limited partner, its parent company, Bloomberg. “Founders now really care, and they’re getting more sophisticated on it,” Mr. Bahat said. It is unclear to what extent these concerns will stick. Past revelations of such connections have barely made waves among start-ups. Last year, an investigation of offshore banking documents known as the Paradise Papers revealed that an investment in Twitter by DST Global, founded by Yuri Milner, was backed by VTB, a Kremlin-controlled bank often used for politically strategic deals. Mr. Milner has built a reputation for savvy dealmaking in Silicon Valley, and the revelation did not hurt his standing among start-ups. Several companies that raised money from the firm — which were not revealed to be connected to any deal involving an investment from the Russian government — defended him at the time. But Mr. Gutelius at the Data Guild said he thought the technology industry was in a different place now. Technology companies face a backlash against their addictive products, privacy violations and their role in the spread of misinformation.